J&K Constitution is subordinate to the Constitution of India. 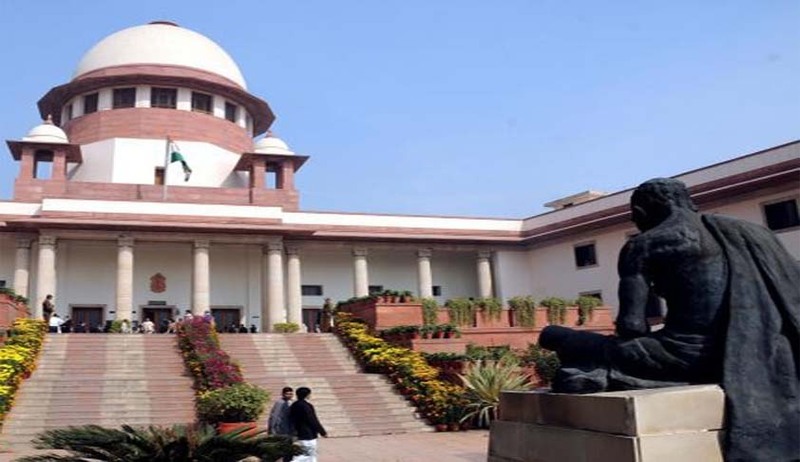 In a landmark judgment on cooperative federalism and legislative relations between the State of Jammu & Kashmir (J&K) and the Union of India, a two judge bench comprising of Justices Kurian Joseph and RohintonNarimanat the Supreme Court set aside the Jammu and Kashmir High Court’s judgment which had held that various key provisions of the Securitisation and Reconstruction of Financial Assets and Enforcement of Security Interest Act, 2002 were outside the legislative competence of Parliament, as they collided with Section 140 of the Transfer of Property Act of Jammu & Kashmir, 1920. The bench also rejected the J&K High Court’s view that the J&K Constitution was equal to the Constitution of India. While noting that the State of J&K had its own separate Constitution by which it is governed in all matters, except those surrendered to the Union of India the bench also recorded that amendments that are made in the Constitution of India are made to apply to the State of J&K only if the President, with the concurrence of the State Government, applies such amendments to the State of Jammu & Kashmir. It was further held that permanent residents of the State of Jammu & Kashmir are citizens of India, and that there is no dual citizenship as is contemplated by some other federal Constitutions in other parts of the world. In the State of J&K, the quasi federal structure of the Constitution of India continues, but with the aforesaid differences. It is therefore the argument that the Constitution of India and that of Jammu & Kashmir have equal status was rejected. It was further held that since List II of the constitution of India is not operative in the State of Jammu & Kashmir, there is no competing Entry in the said List and this would lead therefore to the conclusion that Entries 45 and 95 of List I must be given a wide meaning. Applying the doctrine of pith and substance to SARFAESI, the bench held that in pith and substance the entire Act is referable to Entry 45 List I read with Entry 95 List I in that it deals with recovery of debts due to banks and financial institutions, inter alia through facilitating securitization and reconstruction of financial assets of banks and financial institutions, and sets up a machinery in order to enforce the provisions of the Act. In pith and substance, SARFAESI does not deal with “transfer of property”. In fact, in so far as banks and financial institutions are concerned, it deals with recovery of debts owing to such banks and financial institutions and certain measures which can be taken outside of the court process to enforce such recovery. The bench also said “It is clear that the state of Jammu & Kashmir has no vestige of sovereignty outside the Constitution of India and its own Constitution, which is subordinate to the Constitution of India… they (residents of state) are governed first by the Constitution of India and also by the Constitution of Jammu & Kashmir,”while referring to the preamble of the Constitution of J&K, 1957.